The United Methodist Church is the third-largest Christian denomination in the United States, after the Roman Catholic and Southern Baptist traditions, and it is a growing faith community around the world, with about 10 million members worldwide. The United Methodist Church (UMC) is a connectional church, with each congregation linked to all other UMCs through shared organization and mission, a shared hymnal and sacramental understanding, and shared supervision under consecrated bishops’ leadership. Grace UMC is a part of the Alexandria District of the Virginia Conference under the leadership of Bishop Sharma D. Lewis. The denomination began as a renewal movement in the Church of England at Oxford University in the 1700’s and took off as a revival movement in the Americas in the 1800’s. With this heritage, United Methodists enjoy a unique theological position: it is a church of the academy and the campmeeting, with liturgical traditions and evangelistic passion. We believe that a faithful life is lived out with both personal piety and social holiness, and we are therefore committed to faithful Bible study, sacramental worship, meaningful prayer, and world-changing service to others in Christ’s name. United Methodists believe that God’s grace is active in every person’s life, whether he or she is aware of it or not, and that Jesus invites all people to participate actively in their own faith journey. Our communion table is an open one, where all who partake are incorporated into the transforming work of God in Jesus Christ. We celebrate baptisms for people of all ages, recognizing that God’s grace always exceeds our own understanding, and it is a gift of the Holy Spirit whatever age we are when we receive it. The UMC recognizes the baptisms of all Trinitarian Christians. To learn more about the United Methodist Church, please visit www.umc.org, or come to one of our monthly two-part Newcomers’ Gatherings. 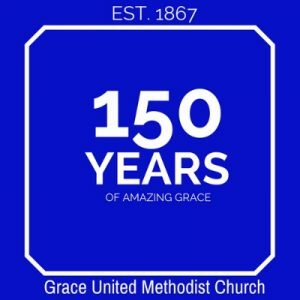 Those who are interested in becoming members of Grace UMC should attend both parts of the Newcomers’ Gatherings—“Meet the Pastors” and “Exploring Membership,” and speak with the pastors about a suitable Sunday when they can affirm their faith during worship and be welcomed into the congregation, either through profession of faith or transfer of membership.